I'm happy to announce our latest new release! 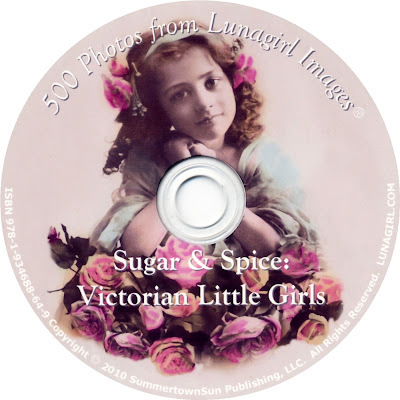 A charming original collection featuring 500 Victorian Edwardian era photos of little girls, adapted from antique photo postcards. These are all newly scanned from a card collection purchased from a private collector in France, so you're not going to see them anywhere else. They have been lovingly restored, color enhanced, and altered to perfection for your enjoyment and use in your projects. Click on the picture above to see details and lots of sample pics!